This is fun. To see the words I put on paper come to life is amazing. This really is the best short we’ve done so far. I’ll post the link to the first days rushes. I don’t want to give it all away before you see the finished product but I think it’s important to show people the process. We shot the beginning scene repeatedly until we got what works. The story is about two guys that hang out at the American Legion. Barry is a 20 year war vet, but every time he tells a story his time in the military seems to grow. Gil is a Z list actor who plays the parts no one else will play. These facts don’t keep them from reminiscing about the times where they used to be someone. The fact that they never were anything doesn’t stop them. Their younger selves chased windmills their memories create, believing themselves the heroes. Well here are the rushes for the first scene, first shoot. We have an early morning with a rushed day of shooting tomorrow so I’ll post more then. The first five minutes or so are Gil’s close ups, the last half is Barry’s close ups and I have to say that I did learn a lot by watching Barry. He is a veteran actor that we’re lucky to have on this shoot. His facial expressions really tell the story, sometimes better than the dialogue. 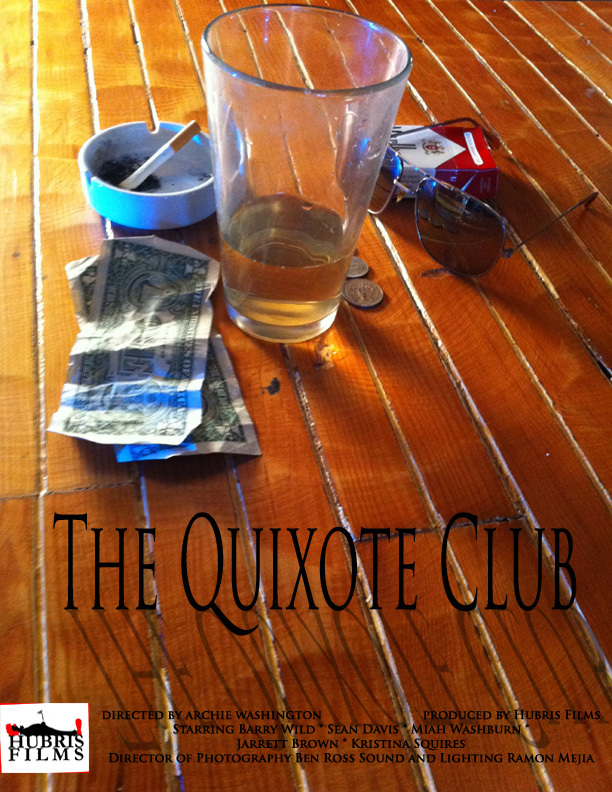 This entry was posted in The Quixote Club.